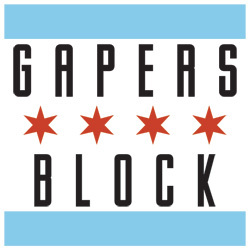 Gapers' Block will be having an "unofficial" get together at Danny's Tavern in Wicker Park at 1951 W. Dickens (Dickens and Damen, east side) in Wicker Park from 8 onwards. More details here. Design, a film shot entirely in the Chicago area, will screen at the Siskel Film Center tonight at 8:00. A selection of the 2002 Sundance Film Festival, Design is the directorial debut of Davidson Cole, who also appears in the film as one of three characters (another one played by Daniel J. Travanti, from "Hill Street Blues") whose path cross and culminate in a night of "bad choices," as the Website puts it. NewCity recommends the film, saying that it "suggests the powerful influence of Kieslowski, but a Kieslowski without a whisper of God's grace." The director and select cast members will be at the screening tonight; there will be a second screening Monday, December 8. Siskel Film Center: 164 N. State. (312) 846-2600. Stores and restaurants will be staying open late Friday night, offering discounts on food and gifts as a way to get up on Holiday shopping. There will also be street entertainment and complimentary drinks and hors d'ouvres at many shops. 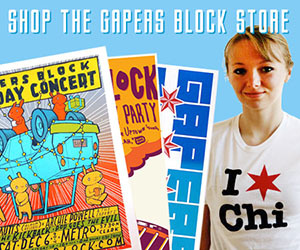 Print off a coupon at Andersonville.org and visit the neighborhood between 6pm and 10pm. Or visit on Saturday or Sunday for Julmarknad ("YULE-mark-nahd," according to the chamber of commerce). The Swedish American Museum Center will be hosting its annual handicrafts bazaar, and other stores will be doing something special, too. The man with the gravelly voice gets the tribute he deserves at Nevin's Live, 1450 N. Sherman Ave. in Evanston this Friday and Saturday night. Just $10 (each night) will get you in the door. Call 847/869-0450 for more info. Friday night's line-up: Michael McDermott, The Orphans, Edward Burch, The Delafields, Thomas Pace, Steph Turner, Marvin Tate, Mark Sheehy, Kristin Shout and Darkroom Chemicals. Saturday night's line-up" Danny Black, Al Day Trio, RD Roth & The Issues, Big Sky String Band, No Doctors, Mia Park and Joe Cannon from Early Risers, Cheer Accident, Bumpus and Big Sky String Band.